Alamo.nl tries to inform you as completely as possible about renting a car and what it involves. Still our customer service center gets a lot of questions by phone or e-mail about car rental and what one can expect at the destination. 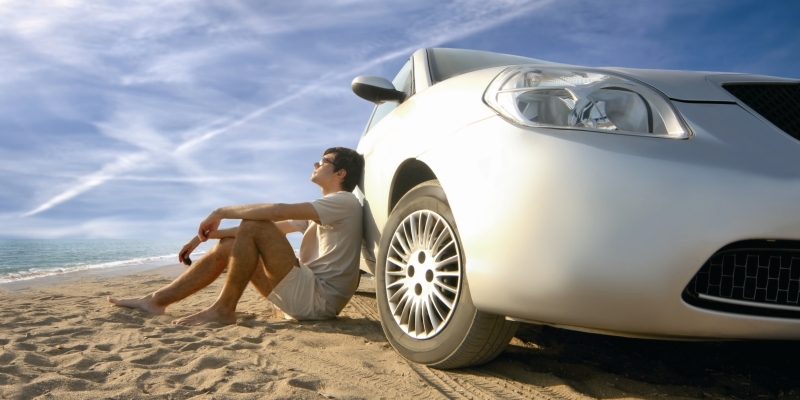 Below you will find a list of frequently asked questions about car rental and the answers to those questions. Is the answer not clear or is your question not there, then please fill in our contact form with your question or request. Am I fully insured with a rental car from Alamo? Alamo always takes care you will be insured for your rental car. The following will be included: Collision Damage Waiver, Theft Protection and Extended Protection. The local taxes and airport fees are also included in our rates. Most of the countries we work with use a deductible. For car rental USA no deductible will be charged. For more information about the insurances or deductible please contact our callcenter at +31 30 6933088. Why do I need a credit card to rent a car? In most countries the driver needs to have a valid credit card in his own name, to cover a deposit and any extras. What is a drop-off fee? If you drop your car off at a different location than where you picked it up, drop-off charges will be added to your invoice. For car rental in the USA and Canada an Economy car will not be accepted with one way rentals. Drop-off fees are not included in the prepaid voucher. No additional drop-off fee will be charged for rentals within the state of Florida and within the state of California. Can I book a GPS-System? Yes, If you make a reservation for the United States or Canada, you can choose a package including GPS. Extra options such as a child seat, ski-equipment, extra drivers or drop off charges. Can I drop-off the car at a different location than where I picked it up? In most cases there will not be a problem if you would like to return the car at another location. A drop-off fee will be charged for this at the location where you return the car. For more information about drop-off fees, please contact our call center at +31 30 6933088. What does the term excess mean? Some insurances have a so called excess. This means that you still are liable for a certain amount in case of damage. Are there any costs for cancellations and changes to my booking? Up until 14 days before your pick up date the cancellation fee is EUR 35,00. From 14 days up to 24 hours before pick up, the costs are Eur 47,50. In case of cancellation within 24 hours before pick up time there is no refund. Partly used vouchers cannot be refunded. This depends on the country of your car rental. You can contact our call center for more information, or check the specific conditions per country. Every driver needs to have a valid drivers licence from the country of origin. Is the answer not clear or is your question not there, then please fill in our contact form with your question or request.